Beyond our Crystal Plaza venue, Crystal Plaza Group and its off-premises catering divisions, CPNY and CPNJ, cater and produce events at private homes and other locales. As an upscale private events caterer, we bring the same high level of customer service and fine attention to detail to our nearly 400 events each year as we do to our in-house affairs. 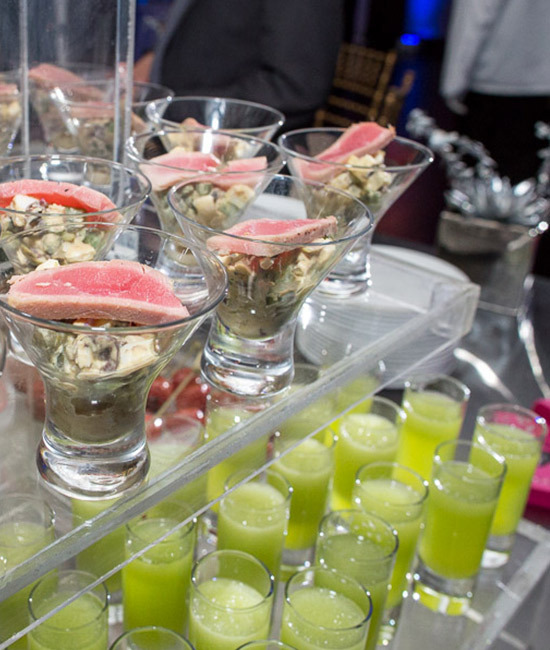 From blowout corporate launch parties in the Hamptons to exquisite kosher and glatt kosher Rosh Hashanah dinners to massive backyard summer soirees, our flexible team customizes every private event menu to suit your unique wishes or needs. We aim to create a real “foodie” experience for our clients and their guests. That’s why every menu is created for your particular private event. Our clients based in New York and New Jersey span the gamut of cultures and require a broad range of cuisine for special events at their homes or other locations, such as churches or synagogues. Crystal Plaza Group has catered everything from lavish, black-tie backyard weddings to over-the-top birthday parties and holiday parties with flair. At our catering facility, we also have separate non-kosher, kosher and glatt kosher kitchens to properly serve the large Jewish community in the tri-state area. We like to think outside of the box for your special occasion. 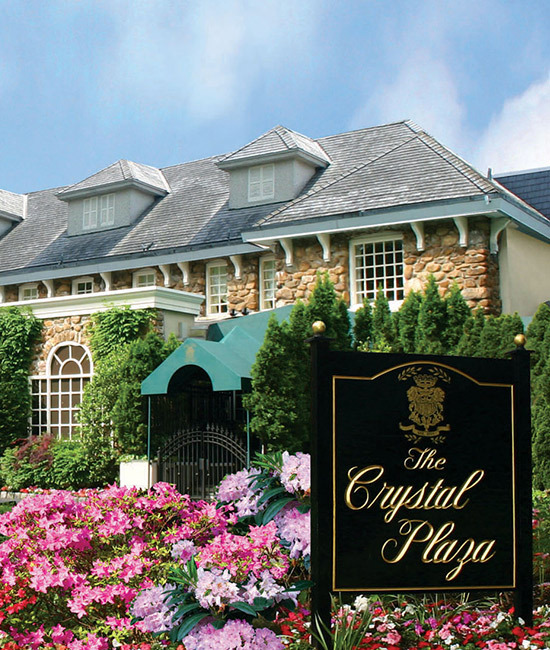 An alternative to a private event at your home, of course, is our elegant and historic Crystal Plaza. Our beloved residential mansion-turned-venue is one of the leading wedding and event spaces in the tri-state area, boasting the grandeur or 19th century architecture along with distinct modern-day touches and functionality. Choose from several spaces for your event, including the lush gardens, Grand Ballroom, chic Salon and stately Living Room. Your private event will receive our signature white-glove service when attending to both your catering and event production.